In a botched propaganda stunt, Russian media once again presented forged documents on the Malaysia Airlines flight MH17 crash in the war-torn Donbas in 2014. This time, the Russian outlets published fake “top secret” 2014 reports by the SBU (the Security Service of Ukraine). 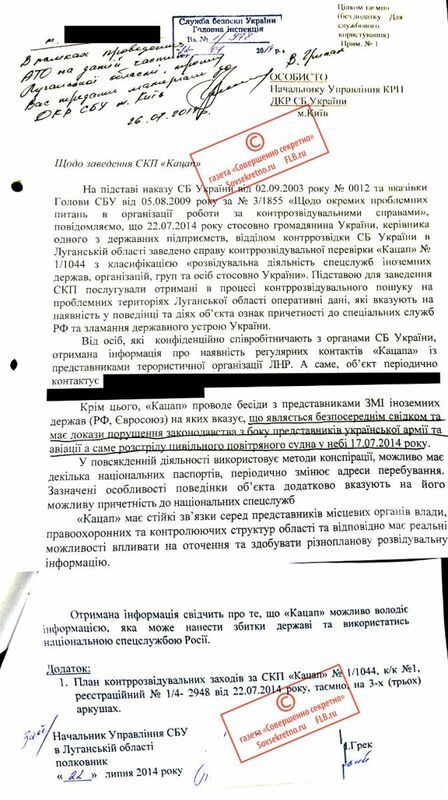 The documents, written in Ukrainian with bad spelling mistakes, mention the Ukrainian Air Force as responsible for shooting down the Malaysian Boeing. This “scoop” was first presented in a small pro-Kremlin paper, then, after being translated into English, travelled to hundreds of websites prone to conspiracy theories, pro-Kremlin narratives and anti-establishment stories. In the course of 3 days, the article was translated into 24 languages before it landed on the main pro-Kremlin outlet Sputnik, presented as a question rather than a statement. There is no need for a deep analysis of the document formats because there is one major problem with all documents faked by the Russian special services. 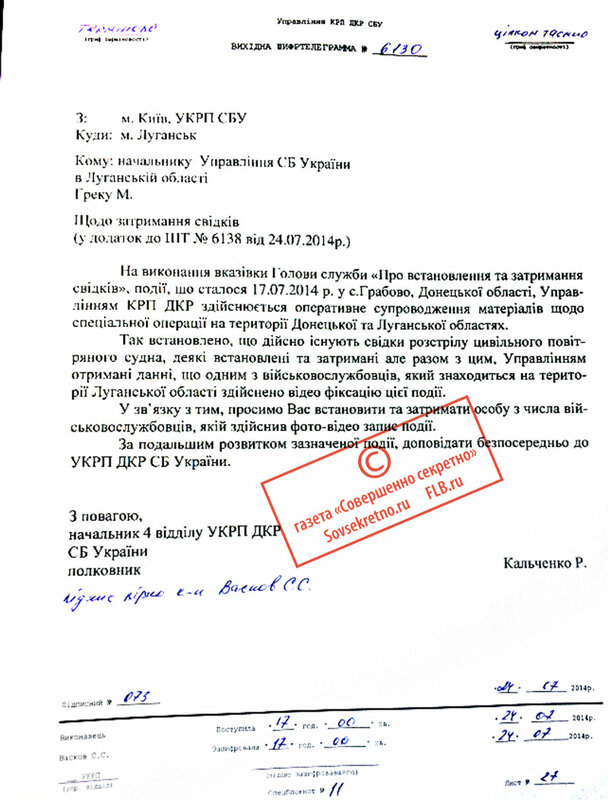 They can use real stamps, signatures, headers, and footers of the documents, but they cannot properly speak Ukrainian. Their grammar mistakes usually look funny for Ukrainian natives, because they often translate the texts word-by-word from Russian and cannot select a proper synonym or replace a Russian grammar construction with its Ukrainian match. Moreover, the authors of such documents sometimes mention Russian realia forgetting that they are faking Ukrainian documents. проводе бесіди…, на яких вказує, що являється… he conducts talks on which points out that he is 1. There is no such grammar form as проводе in Ukrainian, it must be проводить. 2. Вказувати means first of all “point with a finger or something,” зазначає must be here. 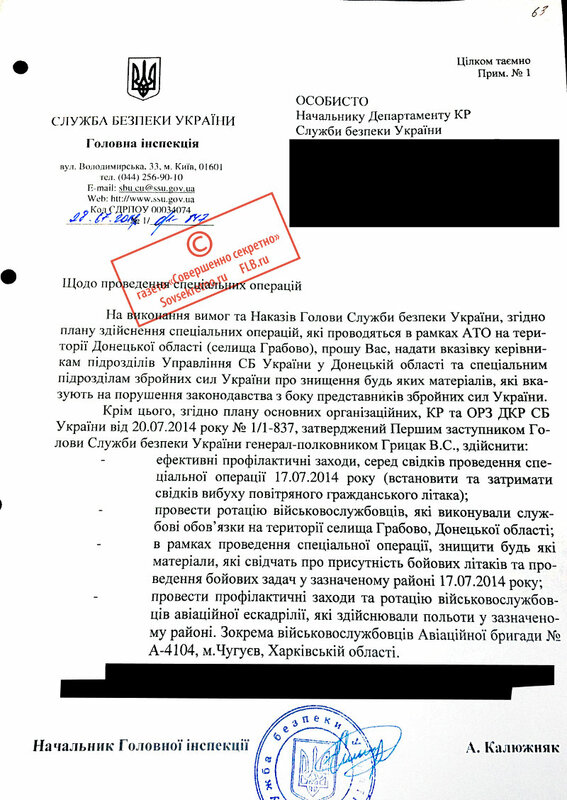 його можливу причетність до національних спецслужб his possible affiliation with national special services The authors forgot that national services are Ukrainian in this document, they mean foreign ones. Other three documents are just the same. In the second paper, the word дані “data” is spelled with double Н, just like in Russian. The third document mentions “the neighboring state (DNR),” probably the Russian authors forgot that what they call DNR is just an occupied part of Ukraine. The fourth document is written with better grammar, however the word “будь-який” (“any”) is misspelled as two words in its text. This is not a new conspiracy theory. Back in 2014, the Russian propaganda machine blamed a Ukrainian SU-25 fighter jet in downing the flight MH17. However, Russia produced as many conspiracy/propaganda theories as it could to hide the involvement of the Russian army in the conflict in Ukraine. Neither is this the first time that faked evidence is involved. Days after the crash of MH17, Russia’s Ministry of Defense planted two theories that would later be regurgitated many times over: that it was either a Ukrainian plane or a Ukrainian Buk that shot down MH17. For this, it on 21 July 2014, it produced faked satellite images of a Buk that bellingcat proved were taken at least one month before the launch, and on 21 July 2014, fake radar data purporting to show a a Su-25 warplane 3-5 km from the civilian airliner. The Joint Investigation Team report later on showed that this was impossible and that the distance between the closest aircraft and MH17 was approximately 30 km. These two versions created by an official Russian Ministry are both rapid fire conspiracy theories, quick and dirty disinformation stories created to slow down analysis in the early stages of a news story. The missile had been taken from Russia to occupied territory of Ukraine on the morning of 17 July, when the plane was shot down, and the launcher was taken back to Russia the next day, chief Dutch police investigator Wilbert Paulissen told. MH17: Is Ukraine the one to blame? Will there be justice for MH17 victims? One year later, what do we know about the MH17 tragedy?